Momota, Christie, Pusarla, Kidambi and Yeo Jia Min answering questions from the audience. 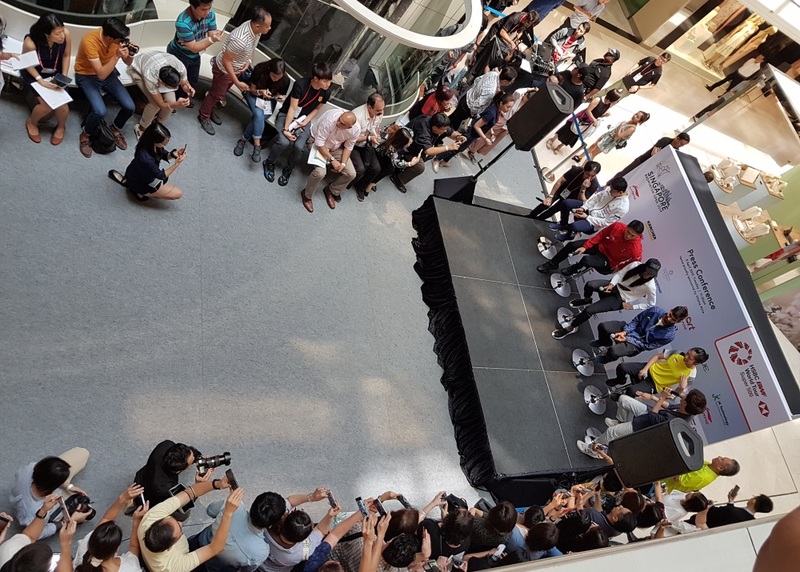 Some of the most popular faces of the circuit interacted with fans at a mall in Singapore today, triggering a buzz on the opening day of the Singapore Open 2019. 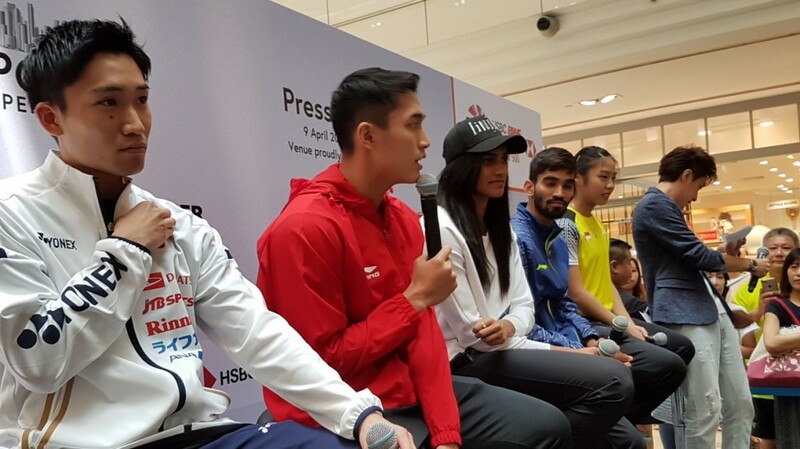 Kento Momota, Pusarla V Sindhu, Kidambi Srikanth, Jonatan Christie and local hopeful Yeo Jia Min fielded questions from fans and posed with them for photographs in the atrium of a popular mall. A bird’s eye view of the event. Kidambi added that it was about “fighting until the end”. “Even if you lose you have to go back, work on it, and come back strong,” said the world No.7. Momota said the support of people around him made it easier to come back strong after a defeat. Recent Malaysia Open champion Lin Dan was a common choice as the idol they all looked up to. “For me it’s Lin Dan, I admire him for the way he keeps himself, the way he plays, the way he’s motivated,” said Kidambi. His compatriot Pusarla concurred: “It’s the same with me, he’s achieved a lot, he’s a legend. For motivation and inspiration, there are a lot of people who have done well, there’s a lot to learn from everybody,” said Pusarla. 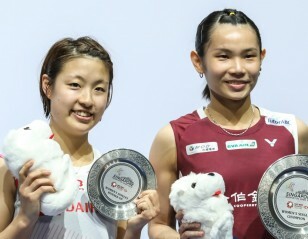 Yeo Jia Min named Kento Momota as her idol – for his calmness on court. 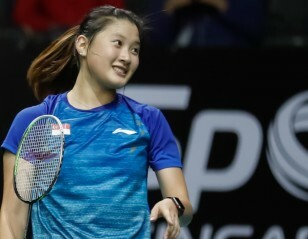 All the top contenders are in Singapore for the HSBC BWF World Tour Super 500 event. Men’s singles defending champion Chou Tien Chen heads the bottom half of the draw. In his half are Chen Long, Jan O Jorgensen, and Anthony Sinisuka Ginting, while top seed Momota has the likes of Sai Praneeth, HS Prannoy, Kidambi Srikanth, Viktor Axelsen and Lin Dan in his half. Interestingly, Malaysia Open champion Lin Dan will face India Open winner Axelsen in the opening round. Pusarla takes on Lyanny Alessandra Mainaky in her opening test, and either Mia Blichfeldt or Gregoria Mariska in the second.